Our planned visit to Gibraltar went like clockwork, everyone got up early, had breakfast and arrived at the bus on time. The trip across the border into Gibraltar went without a hitch and we arrived at Europa Point a little ahead of schedule. The morning light was exquisite, you couldn’t have painted a more colourful sunrise, the sea was flat calm and many birds and cetaceans were feeding out in the Strait. We scoped the ‘Rock’ and found both Blue Rock Thrush and Peregrine Falcon and three Black Kites flew over and out to sea across to Africa which seemed very close and crystal clear. We watched the shearwaters and dolphins and noticed that Yellow-finned Tuna were feeding too it was quite a mêlée out there. Our time soon ran out so we made our way up one of the roads towards the top of the Rock and at one of the entrance gates. 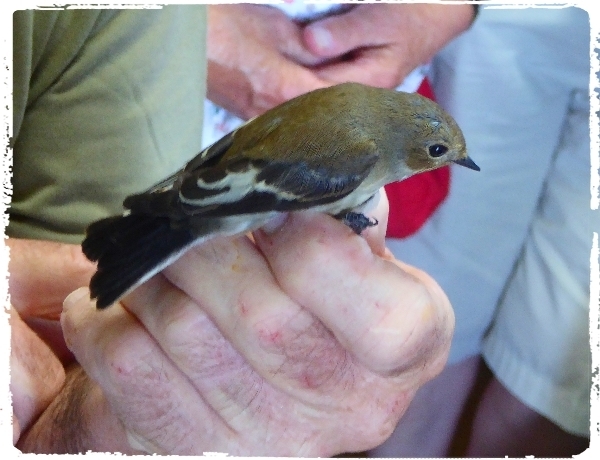 There is a small nature reserve and bird-ringing station near a Jewish Cemeteryand that’s where we went. For the next 3hours the group became tourists and took the cable car up to the top of the Rock, I left them to it and returned to Europa Point to sea-watch. 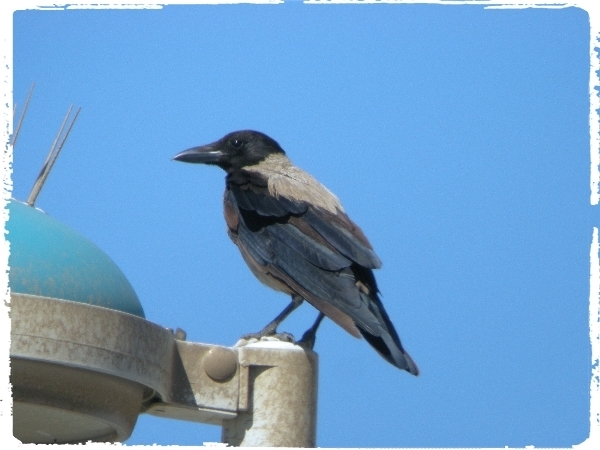 About 2-3 months ago a ‘first’ for Gibraltar was discovered in the shape of a ‘Hooded Crow’ it is a very sighting in southern Spain too. I thought it had gone a long time ago but it hasn’t because I saw it today. It was an ‘area’ tick for me too. I also saw Balearic Shearwater and Audouin’s Gull during my ‘free-time’. At rpm we left Gibraltar and headed back to the hotel, most of the group called it a day at that point but four of us we out again at 4:15pm. We spent an hour or so in La Janda. The late afternoon light was a good as this morning’s, superb. We watched Storks, Glossy Ibis, both Marsh and Montagu’s Harrier and lots of finches feeding on the sunflower heads. A couple of sunflower fields had been recently cropped and they were full of birds, a couple of thousand Cattle Egrets were joined by five hundred or more Jackdaws. 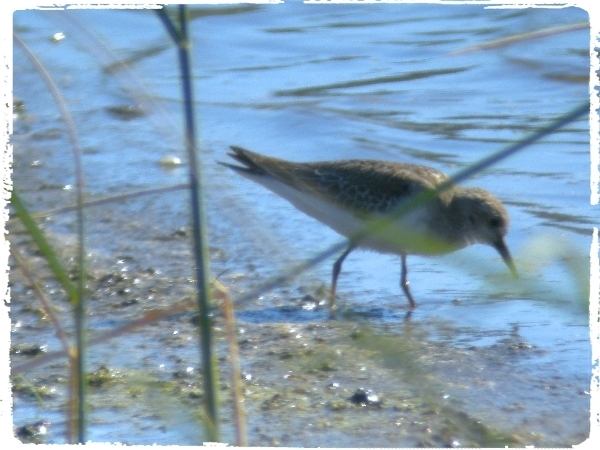 One the rice fields had some shallow open water where lots of waders were feeding, we saw Common Snipe, Dunlin, Curlew Sandpiper, Green Sandpiper and a few Yellow Wagtails. A couple of Stints were feeding fairly close to us and to our great delight we discovered that one of them was a TEMMINCK’S STINT. Another great find and an unusual sighting for Southern Spain. We were back by 6:30pm and told the others of our find! Dinner was very enjoyable with lots of laughs and beer, wine and sherry! The food was good too!